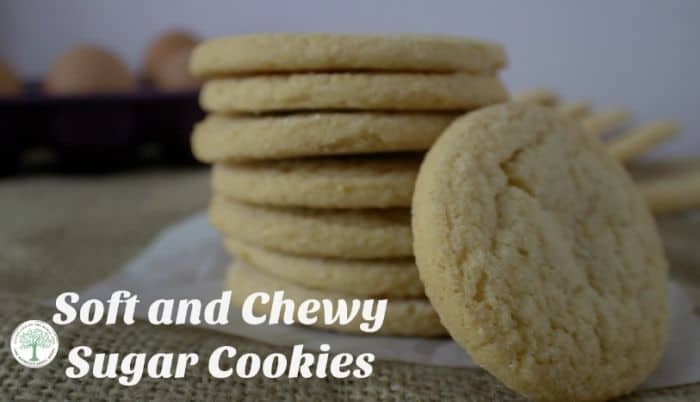 Ah, soft chewy sugar cookies. With a glass of cold milk, or hot chocolate. Get some delicious hot chocolate recipes to dunk your super soft sugar cookies here. The memories I hold in my heart to soft, chewy sugar cookies is amazing. My mother used to love to make them on a cold, wintery day. The oven being on would warm our home, and the smell would be amazing! Munching on two, three, or even four of them was not unheard of. Stealing a fifth or sixth while Mom wasn’t watching often happened as well. I have a love/hate relationship with sugar. I love the flavor, my body hates what it does to me. As a result, I need to really watch how much sugar I take in. Especially with treats. That means that I had to revamp my mom’s famous super soft sugar cookie recipe to lessen the amount of refined sugar and flour in it. CocoMonkey is a great sugar substitute as it’s organic inulin. Inulin has a mild sweet flavor and is considered a “prebiotic” fiber that normal flora in the intestinal tract can break down and use for food. It is often added to yogurt and kefir as well as other probiotic foods. This means it’s far healthier for you than regular sugar. The flavor is mild and doesn’t leave an “aftertaste” like some sugar substitutes do. I used whole wheat flour in this recipe, to help reduce the amount of refined ingredients. Fresh milled wheat, on a pastry setting is best for this, if you can. Otherwise, just use the best whole wheat flour you can find. I also won’t tell on you if you use white flour, honest. Either way, you will get old fashioned soft sugar cookies that are aaaaahmazing! 1 egg plus 1 yolk, room temp. Add egg the yolk and vanilla beating well between each. Add cocomonkey and beat until combined. Cut logs into 1/4 inch slices. Press one side of the cookie into cocomonkey, if desired, then place sugar side up on parchment paper lined sheet. Remove from the oven and let rest for 1 minute on the baking sheet before you transfer to wire rack to cool. Taking the cookies out just barely underdone will give you completely baked, yet soft chewy sugar cookies. As a matter of fact, you can apply this to any cookie recipe. 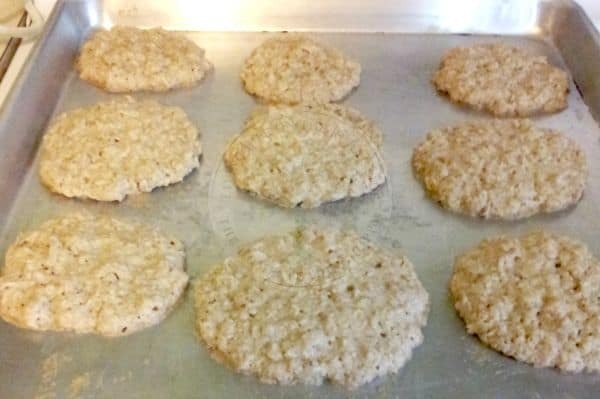 To get the recipe for soft gluten free oatmeal cookies, read the post here. What is your favorite sugar cookie recipe? Will you try cocomonkey instead of sugar next time? Be sure to pin this for later!